While the Canon 5D mkIII has a good level of weather sealing, it's always best not to push its limits, nor those of the lenses, again evcn though they're sealed, including the Canon 24-70 f2.8L that was used in this image. Location: Los Willows Wedding Estate Fallbrook, Ca. Keywords: bride (12), creative rainy day wedding photos (3), fun rainy wedding photos (3), groom (3), rainy wedding. 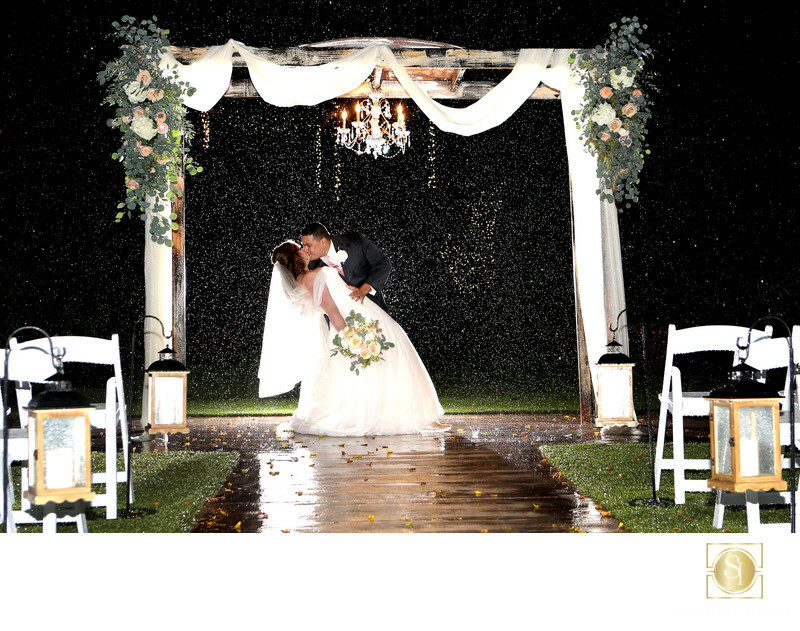 rain on your wedding day (3), Wedding (30).